How can a high BAC affect my DUI charge? When drivers are charged with driving under the influence, they may face life-changing consequences. If it is found that their blood alcohol content was at 0.10% or higher, they may face even harsher circumstances. Since this is a higher blood alcohol content, these drivers were further impaired. They may be charged with aggravated driving while intoxicated. 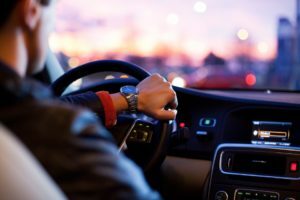 This is considered to be a very serious offense even worse than a DUI due to the higher BAC level, which shows further impairment upon the driver’s motor skills. For DUI charges with a high BAC, drivers can face more serious penalties. Their higher BAC shows that they were at a place of further impairment, which shows they did not make a good decision to drive. Penalties may include up to 30 days of imprisonment. Drivers may even face license suspension ranging from seven and 12 months. Fines tend to add up. They may face a $1,000 surcharge per year for three years due to their offense. Other fines can range from $300 to $500. Along with these finds, they may have to pay fees to various organizations, such as the Drunk Driving Fund. Those charged may also have to enter the Intoxicated Driver Resource Center and attend for 12 to 48 hours. What if BAC is higher than 0.10%? If you are caught with a BAC that is of 0.15% or more, you can face even greater consequences. This is a high BAC. Due to this fact, it can cause a judge to declare that you should install an ignition interlock device in the vehicle that you usually drive. The amount of time that this device is present varies depending on the case and the individual’s situation. With this device, those charged will also have to pay the fee to get it installed. Due to the fines they may already be facing and this added cost, they may face financial difficulty at this time. These charges are not taken lightly. For these cases, it is important to seek legal counsel and acquire an attorney. We can fight on your behalf to ensure that your future is not ruined. How can a third party be involved in workers' compensation cases? Which drug charges can affect me?